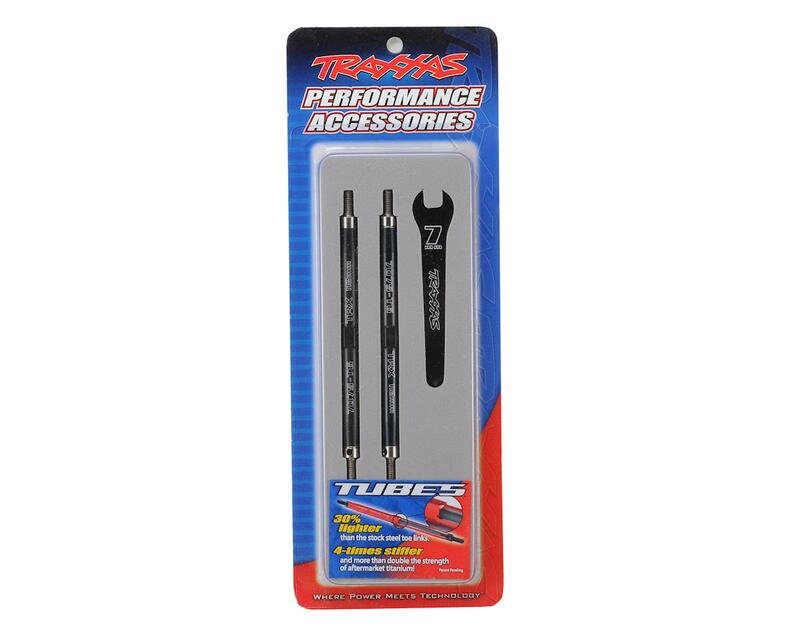 Traxxas TUBES are 30% lighter thant he stock steel toe links, plus they're 4-times stiffer and more than double the strength of aftermarket titanium! Traxxas TUBES are manufactured from high-grade 7075-T6 aluminum and anodized brilliant fire red or rich black. 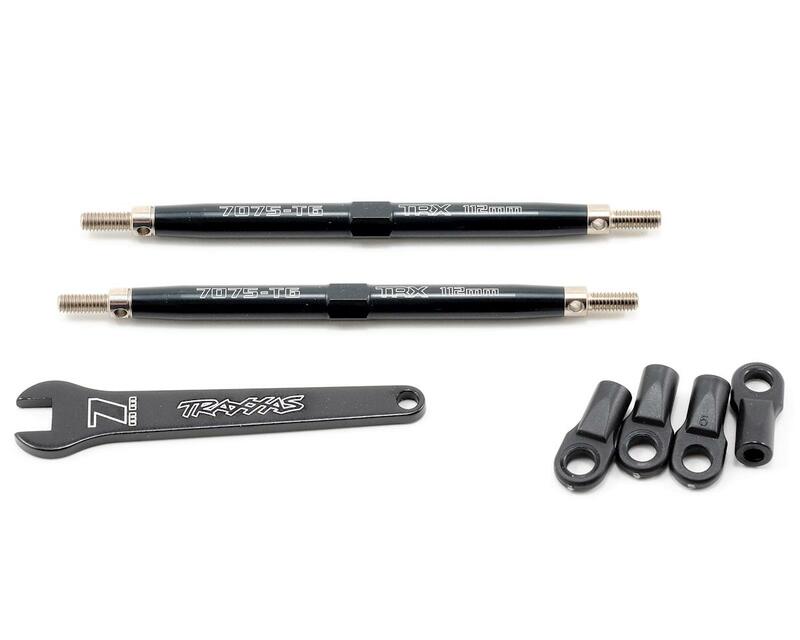 A metric aluminum wrench is included for adjustment.